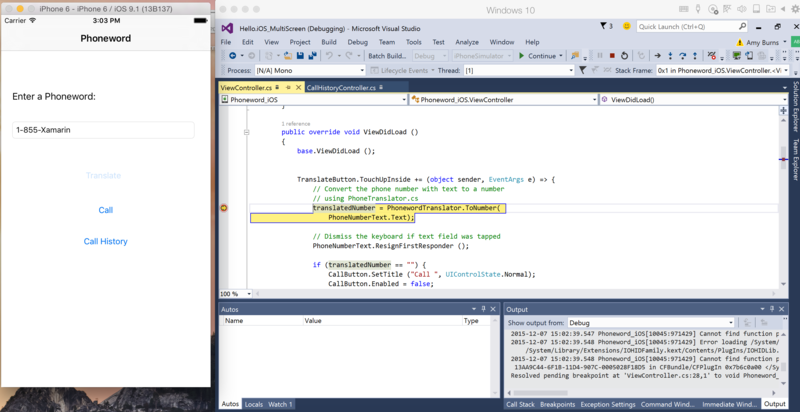 Xamarin for Windows allows iOS applications to be written and tested within Visual Studio, with a networked Mac providing the build and deployment service. This article covers the steps to install and configure the Xamarin.iOS tools on each computer to build iOS applications using Visual Studio. Creation of cross-platform solutions for iOS, Android and Windows applications. 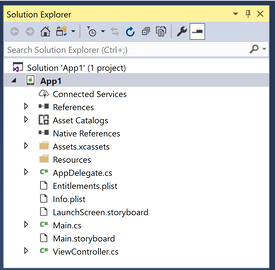 Using your favorite Visual Studio tools (such as Resharper and Team Foundation Server) for all your cross-platform projects, including iOS source code. Work with a familiar IDE, while taking advantage of Xamarin.iOS bindings of all Apple’s APIs. 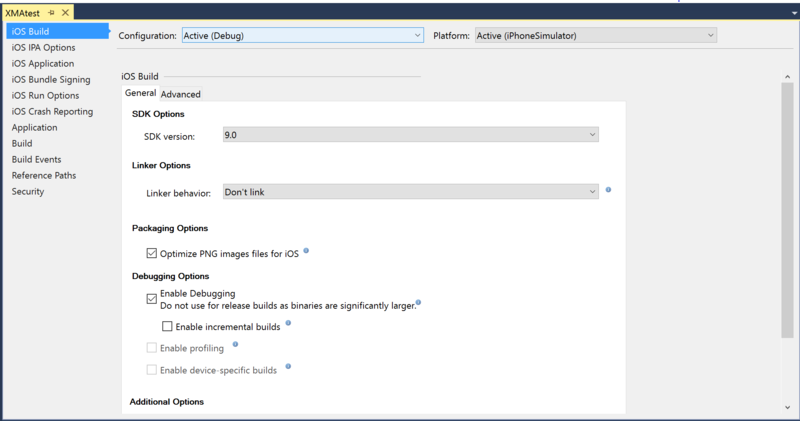 There are a few requirements that must be adhered to when developing for iOS in Visual Studio. As briefly mentioned in the overview, a Mac is required to compile IPA files, and applications cannot be deployed to a device without Apple’s certificates and code-signing tools. Use a Mac as your main development machine and run a Windows virtual machine with Visual Studio installed. We recommend using VM software such as Parallels or VMWare . Use a Mac just as a build host. In this scenario it would be connected to the same network as a Windows machine with the necessary tools installed. To connect Visual Studio to your Mac build host, follow the instructions in the Pair to Mac guide. 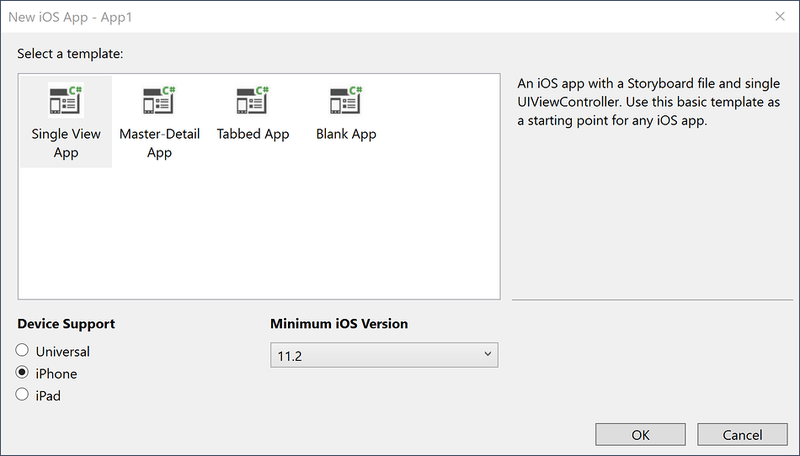 Xamarin iOS for Visual Studio adds items to the Standard toolbar and to the new iOS toolbar. The functions of these toolbars are explained below. Start - Starts debugging or running the application on the selected platform. There must be a connected Mac (see the status indicator in the iOS toolbar). 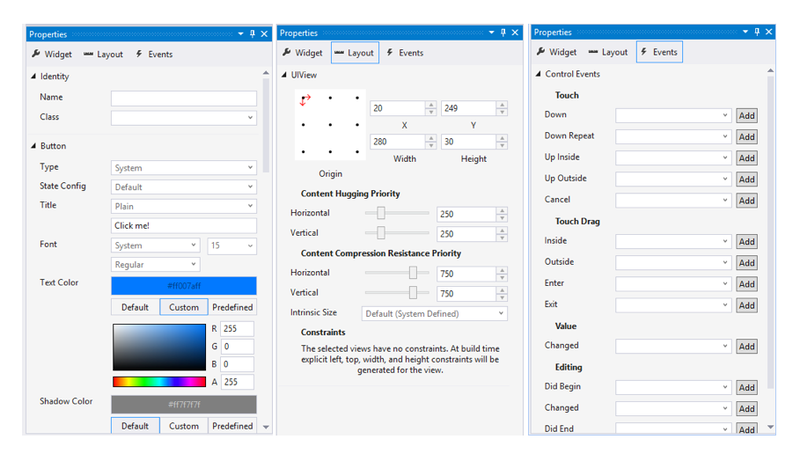 Solution Configurations – Allows you to select the configuration to use (e.g., Debug, Release). 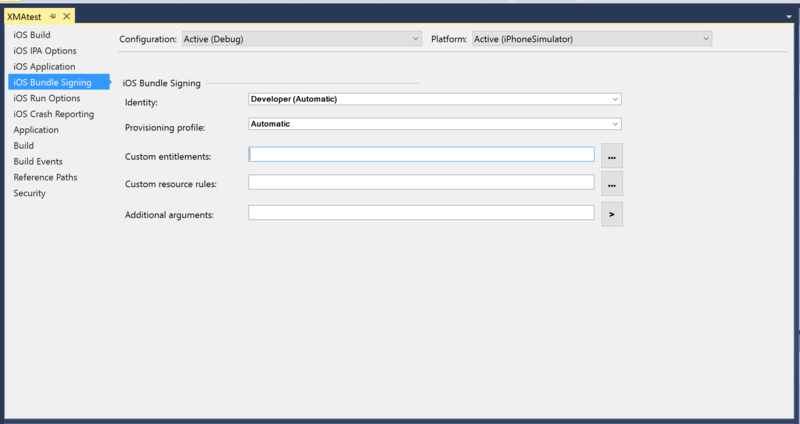 Solution Platforms - Allows you to select iPhone or iPhoneSimulator for deployment. Mac Agent/Connection Manager – Displays the Xamarin Mac Agent dialog box. This icon will appear orange when connecting, and green when connected. Show iOS Simulator – Brings the iOS Simulator window to the front on the Mac. Show IPA File on Build Server – Opens Finder on the Mac to the location of the application’s IPA output file. There are options in the Output pane that you can view to discover build, deployment, and connection messages and errors. 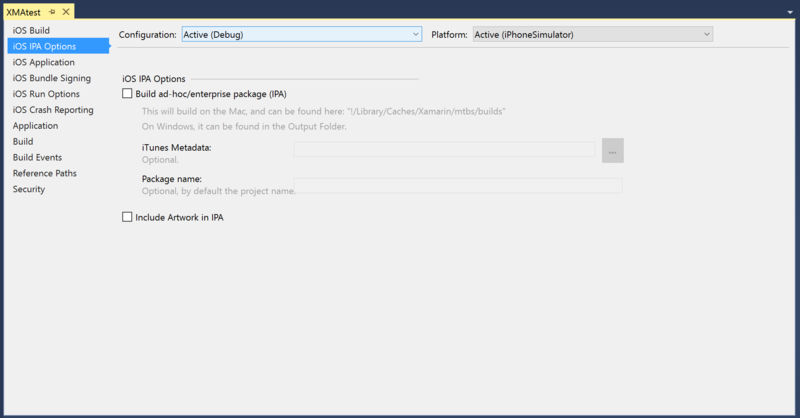 Xamarin – This contains information relating solely to Xamarin, such as the connection to the Mac and activation status. 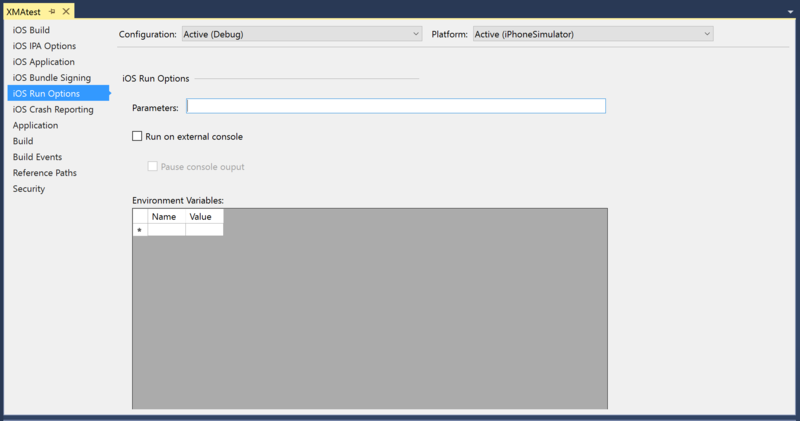 Xamarin Diagnostics – This shows more detailed information about your Xamarin project, such as the interaction with and for Android. For more information on using the iOS designer, refer to the Designer guides. In Visual Studio 2017, the Android and iOS log pads are unified. Once the tool window is shown, the user can select the physical device from the devices dropdown. When a device is selected, logs will automatically be added to the table. Switching between devices will stop and start the device logging. In order for the devices to appear in the combobox, an iOS project must be loaded. Additionally for iOS, Visual Studio must be connected to the Mac Server to discover the iOS devices connected to the Mac. This tool window provides: a table of log entries, a dropdown for device selection, a way to clear log entries, a search box, and play/stop/pause buttons. Start debugging, and use the simulator or device to navigate your application to a breakpoint. 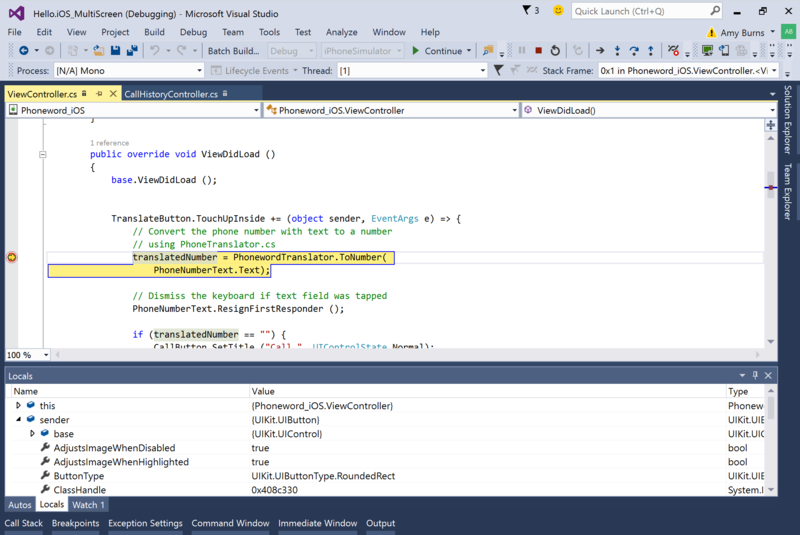 When a breakpoint is hit, the line will be highlighted and Visual Studio’s normal debugging behavior will be enabled: you can step into, over, or out of the code, examine local variables, or use the Immediate Window. 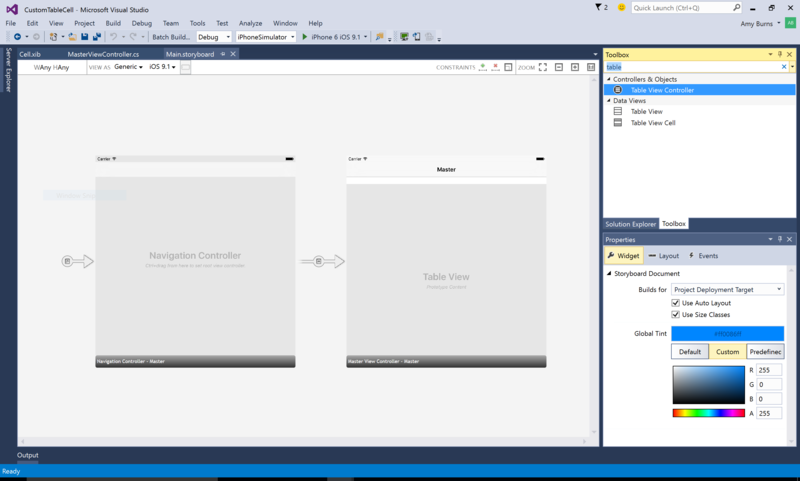 This article described how to use Xamarin iOS for Visual Studio. 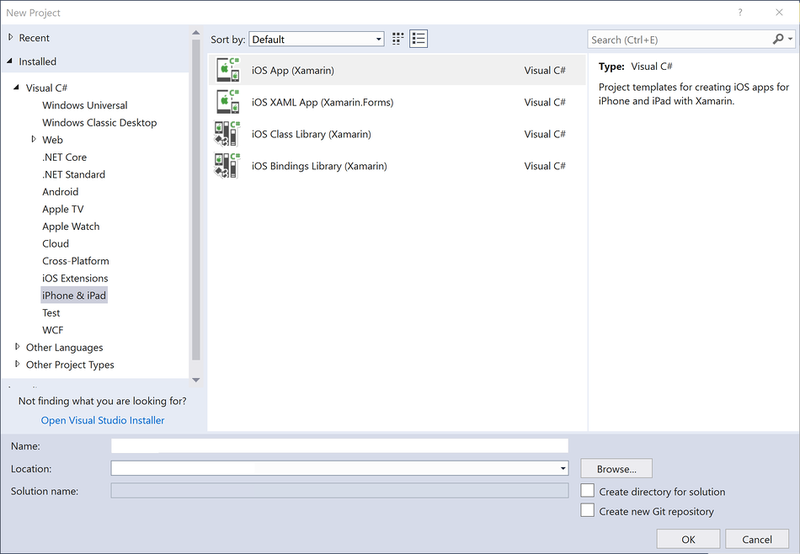 It listed the various features available for creating, building, and testing an iOS app from within Visual Studio and walked through building and debugging a simple iOS application.